Her teaching style is joyful, insightful and personable, drawing on stories, science and silence to create an inspiring space for you to ‘come home’ to yourself. Inviting your attention moment-to-moment to come ‘home’ to self and to body and to take loving action towards self. Responding to the vast need for deep rest and restoratiion in these days of chronic stress, adrenal fatigue and ‘burn out’, on retreats Shoshana leads a journey of restoration. She weaves Karuna heart based yoga, Restorative Yoga, Meditation, Yoga Nidra and Tibetan sound bowl practices with nature and fasting to calm and rebalance the central nervous system. This for most means activating our ‘cooling’ parasympathetic nervous system, to relax deeply and remind our bodies how to be in a state of calm, alert, relaxed presence, and eventually more alive and simply authentically engaged in our body and in our life. Read more about Karuna Yoga, Styles of yoga (traditions/teachings not clothes ; ), ‘Do’s & Dont’s’ Yoga practice tips here. She also offers one-to-one Systemic/Family constellations to release energetic disturbances that disrupt the flow of love in our fields of relationship. BsC. Psychology & Far East Studies (Hons Double BA. Hebrew Uni., Jerusalem), Meditation & Yoga study and 4 year intensive practice while living in Mysore India, Vipassana practice & study (11 Vipassana- Goenka tradition- courses), Mindfulness & Yoga Teacher (VKYogas Bangalore, India), Iyengar yoga training (Orit San Gopte, Iyengar, YSC Rishikesh), Ashtanga Yoga (Mysore style), Lotus Blossom Yoga Teacher (Ubud, Bali, Indonesia), Anatomy & Physiology, Hydrotherapy Colonic Therapist (Midlands Hydrotherapy Centre) , Live & Whole food Independent Nutrition Researcher, Nutrition & Advanced Nutrition (SNHS), Systemic Constelation training (CWT, Bristol), NVC Non-Violent Communication, TRE (Trauma and Tension Release Exercises, TRE College London). Born in America, Sho grew up in Israel and later lived in Japan, India, Sri-Lanka, Spain and presently in UK. Her adventurous background includes compulsory Air force service in Israel, teaching English in Japan and translation for the Japanese Yomiuri-Shinbun reporter in Jerusalem during politically turbulent times. 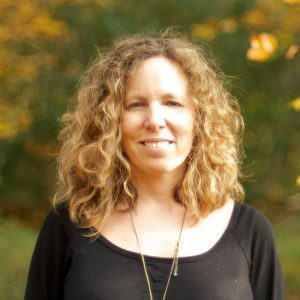 While studing Neuroscience in University Shoshana had an insightful awakening that started her path of mindfullness and following her completion of a Honors double BA in psychology and Japanese studies, she moved to India to practice and deepen her study of yoga, mindfulness, healing foods and fasting for the next four years. Shoshana lived in the city of Mysore studying classical Karnatic singing, practicing Vipassana and living as a yogini according to the sacred Yoga and Buddhist Theravada teachings. As a child Shoshana had a chronic immune deficiency as a result of her diet and lifestyle and caught infections and viruses easily and frequently, developing chronic repeated infections that required her to take as much as 6 series of antibiotics a year. She learned as a child Shoshana to see this as her ‘fate’ – to have a body that was not strong or healthy. At the age of 26 Shoshana realised her health may not be disconnected, but rather ‘connected’ to her choice of food and lifestlye. She came across the idea that food influences our health directly and that live foods had vibrant healing properties, due to being ‘as nature intended’ not cooked or processed, full of enzymes, water and fibre. She also heard that many of her symptoms of illness could be simply the body trying to detoxify itself, as part of the body’s natural self-cleansing mechanism. Intuitively it made sense to her that this could be true, that symptoms of cleansing could be ‘misunderstood’ and misinterpreted as illness and dysfunction. As she’d been an avid follower of allopathic medicine since the age of 7 and had only gotten more and more illnesses, she decided to try another way and that very day. She decided to go ‘raw’ and started to meditate and practice yoga regularly. The results were astounding. Over the next 3 years her body healed itself rapidly, when instead of medicating symptoms, she fasted to support her body’s cleansing itself via these symptoms. Shoshana started using food and fasting as medicine, and by following her natural guidance, watched her body heal itself! She was amazed that her body which she thought was weak and ill, was actually strong, self-healing and intelligent! the body and the spirit are expressions of each other… The physical healing accompanied an awakening of her spirit, and a sense of aliveness and connection to the natural world, a direct connection to ‘guidance’. For the first years Shoshana didn’t read any spiritual teachings as her soul was receiving these teachings directly, and it was her great pleasure to discover this natural connection to spirit and experience herself blossom. Shoshana’s awakenings led her to India, where she lived as a Yogini (Yoga practitioner) for four years, then to a land based community project in Spain, and finally to live near Dartmoor with her daughter. Shoshana grows vegetables in her garden and is grateful for living in the midst of organic farms. Still listening to her guidance, she walks the ‘middle path’ of food (raw and cooked combined) and healthy lifestyle ever since. Over the past 20 years Shoshana has been an influential passionate voice for cultivating inner and outer health. She has taught many of the detox teachers in this field in UK, who together spread this message of health widely. Shoshana sees the core of her work as personal and social transformation. Her mission is to transform the world into a more healthy heartful space, one person at a time. As the outside is a reflection of the inner states of being, we can have a healthy society when we have many healthy individuals in society.